Our governors come from various walks of life, including parents, grandparents, staff and members of our local community. Our instrument of government (see below) shows that the governing body is made up of two elected parent governors; two staff governors; ten co-opted governors (people who live or work in our local community, who may or may not be parents, who are invited to join the governing body based on their skills); and one governor appointed by the local education authority. We also have associate governors who do not vote but attend meetings and contribute specifically on issues related to their area of expertise. The role of the governing body is strategic, not operational. The day-to-day running of the school is for the head teacher rather than for governors. We have three main responsibilities: (a) to set the vision and values of the school, (b) to hold the head teacher to account for the performance of the school and (c) to manage the school's finances. The governing body supports the school but also challenges it to maintain and improve standards for the benefit of all pupils. Our governing body meets six times a year at full governing body meetings. We have various sub-committees, for example a committee to deal with performance related pay, and several working groups to look in more detail at specific issues that arise in our school from time to time (such as becoming part of a Multi Academy Trust). As well as attending meetings and training courses, governors visit the school regularly through 'link' visits, where they focus on the subject or focus area for which they are a link between the school and the governing body. The link areas change from time to time because they are driven by the school's strategic plan and priorities. At the moment, we have link governors for areas including finance, English, Maths, Safeguarding, Special Educational Needs, outdoor learning and Pupil Premium. During their link visits, governors see the curriculum being taught, learn how policies are being implemented and speak to a range of staff (including subject leaders) and pupils. Governors also learn more about the broader life of the school by joining information evenings to learn how subjects are being taught, attending performances or assemblies and speaking at the annual welcome event. Governors conduct 'pupil voice' sessions so that we can hear directly from pupils about their experiences of school life and their learning. 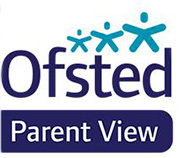 Governors also seek written feedback from parents, pupils and staff in bi-annual surveys as well as from parents during the course of the year, for example after school information events (see the examples of feedback below). We have a Governor Day once a year during which our whole governing body gets together to see lessons, look at books, meet staff and carry out pupil voice. The information that we gather through link visits, pupil voice, surveys and our Governor Day combines with the school's own data, national test results, reports from the head teacher and the questions we ask in governing body meetings to provide the evidence for our decision making as a governing body.